Beekeeping with no "stings" attached! The world's honey bee population is in decline due to many differing factors which are still being investigated. Here at Heather Hills Farm we want to try and increase awareness of how important bees are to continual survival of all living things. We have designed a range of adopt a hive packages to suit all pockets and interest levels. These will be delivered by courier at the start of your adoption term and can be sent with a personalised card if bought as a gift. You will also receive 10% of honey production from your hive during the 12 month adoption term. 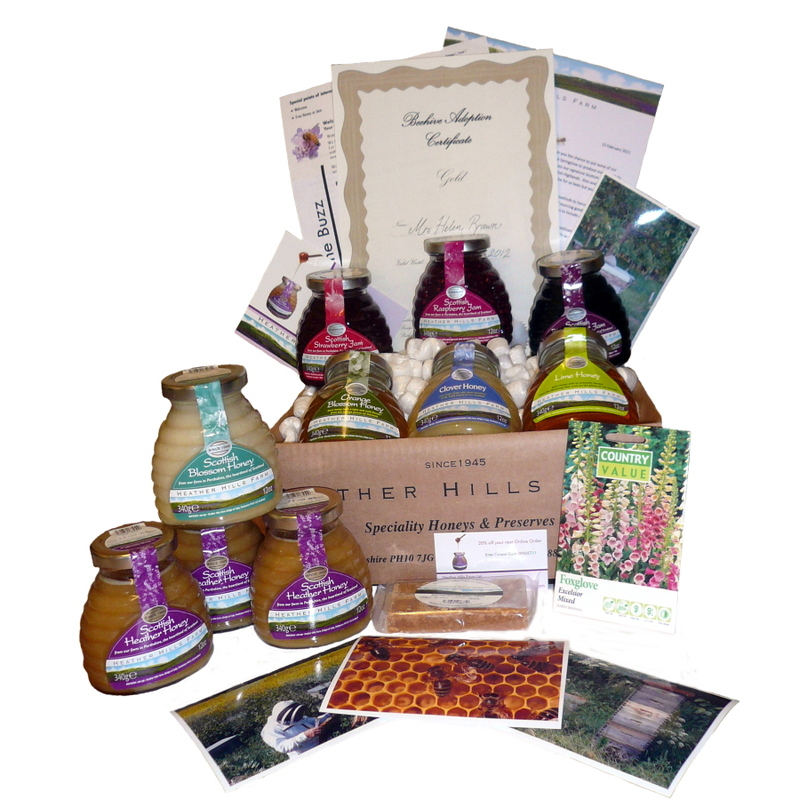 This will consist of jars of Scottish Blossom Honey and jars of Scottish Heather Honey. The quantities will vary dependant upon the production (which is dependant primarily on the weather - pray for sunshine!) and will be a minimum of 2 jars of each. These honeys will be sent at the end of your adoption term.